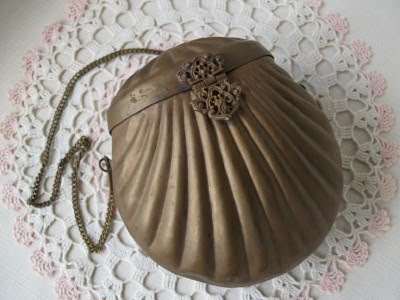 A brass shell purse with an ornate clasp...crushed blue velvet lining. 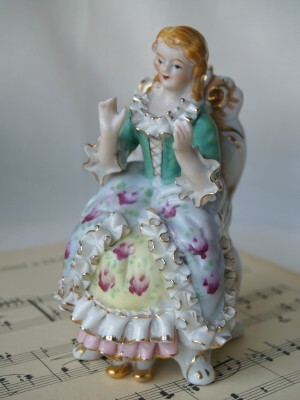 I couldn't believe I found another little figurine like this one! 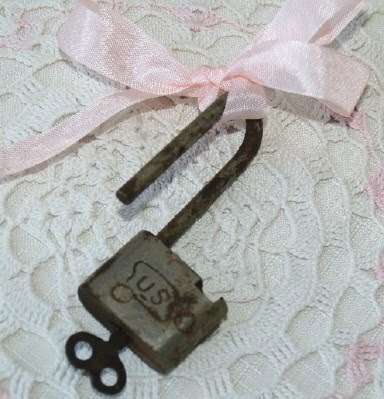 The old lock and key... the key fits and works! 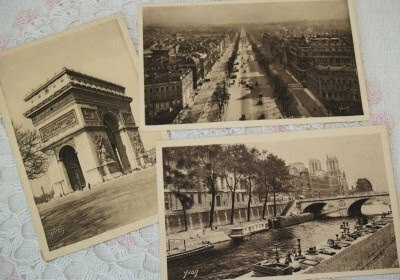 Antique Paris postcards...nothing more needs to be said! 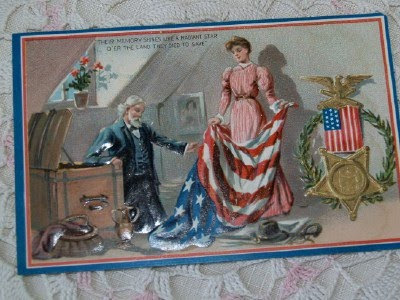 I saw this and thought it was great for crafting... or even wearing! 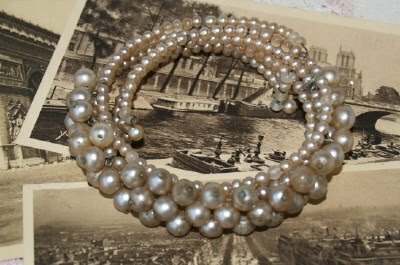 A vintage wire wrap choker necklace. 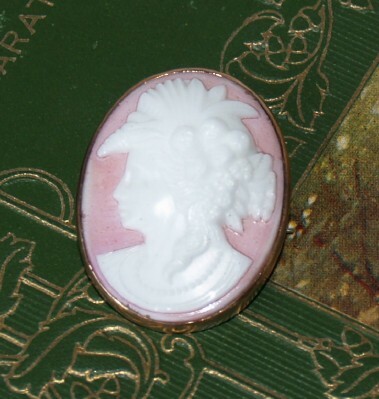 I always thought cameos came in the same old color...coral background with ivory silhouette. 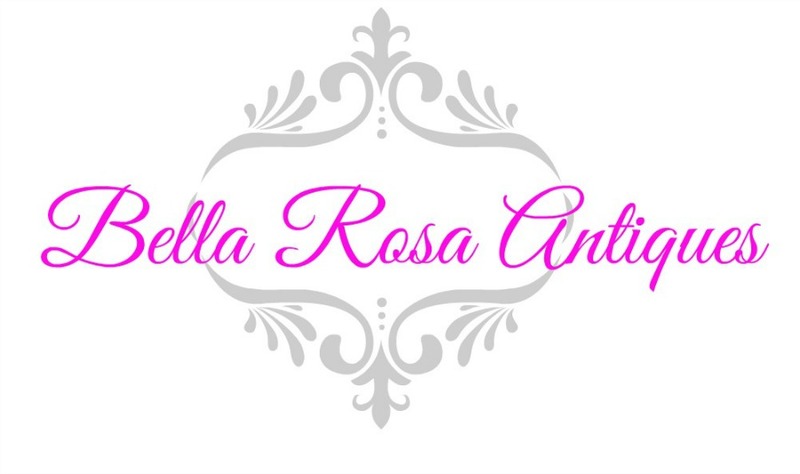 My favorite is the pink of course! 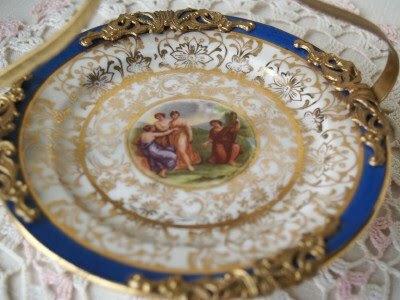 A unique piece. 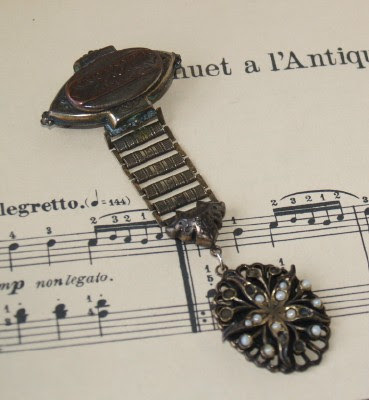 It can be used as a pendant or as a brooch. I was in "Keep this one" mode but finally gave it to the shop! 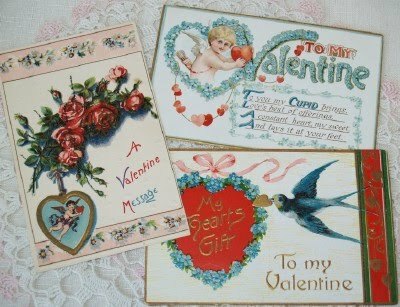 Antique valentines are always a favorite! So are violets. They have sprung up everywhere ! Their presence is so refreshing after a long winter. 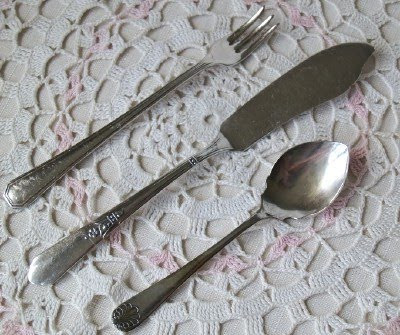 All these and more available in my Just Listed category. 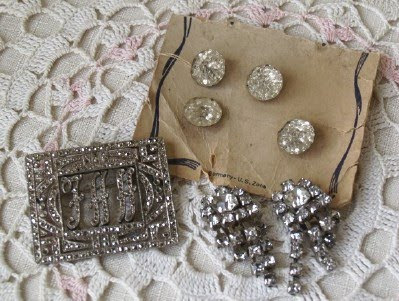 Love the German buttons & the daintiness of that teacup! Wow! What great finds! I wish I could have gone shopping with you -always so much fun! 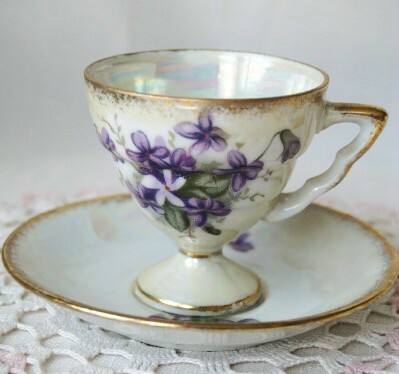 Love that tea cup with the violets. Hi Jillian-thanks for letting me vent...have to admit, it felt good for a hot minute! 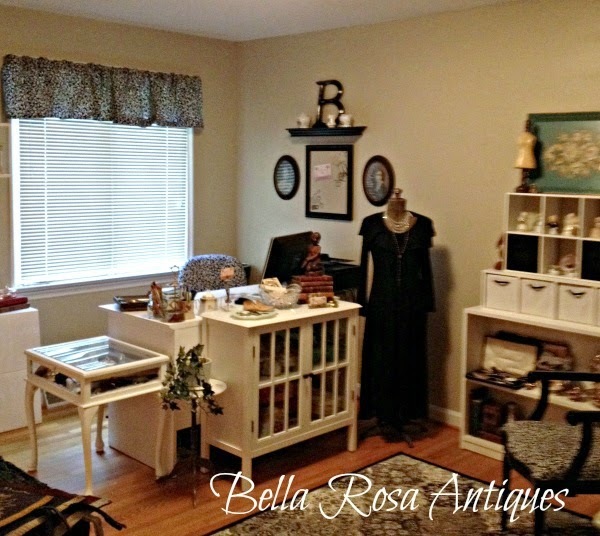 You have the best luck finding wonderful items!!! 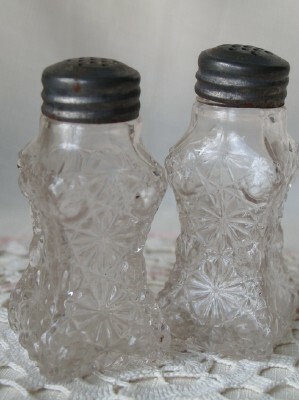 Our local flea markets tend to have stuff of the "flea" variety vs. the cool antique treasures! I'd have a real hard time parting with most of it! We're having a wonderful day in MO...gotta get outside and soak it up!